Today's experiences at Mount Vernon started with tagging along on a field trip into the city. 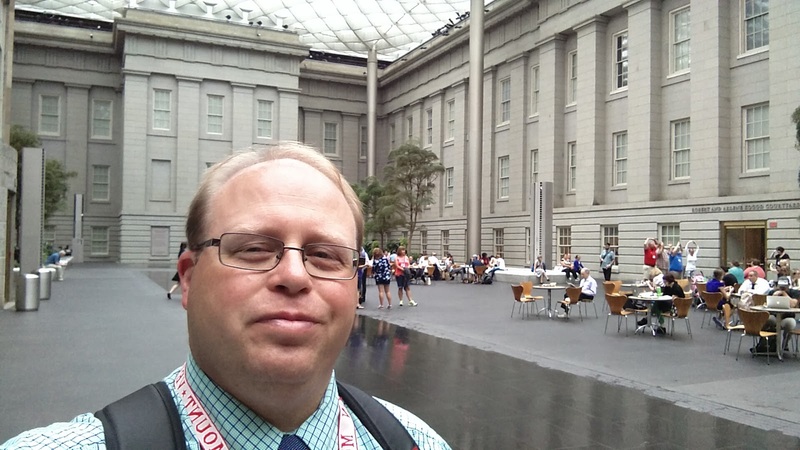 The Mount Vernon Teacher's Institute had a field trip into DC this morning to explore the Smithsonian National Portrait Gallery and I asked if there was room for my to join them. Luckily there was room and I was able to join the tour. We arrived at the Smithsonian National Portrait Gallery in the morning prior to the opening of the museum to the general public. 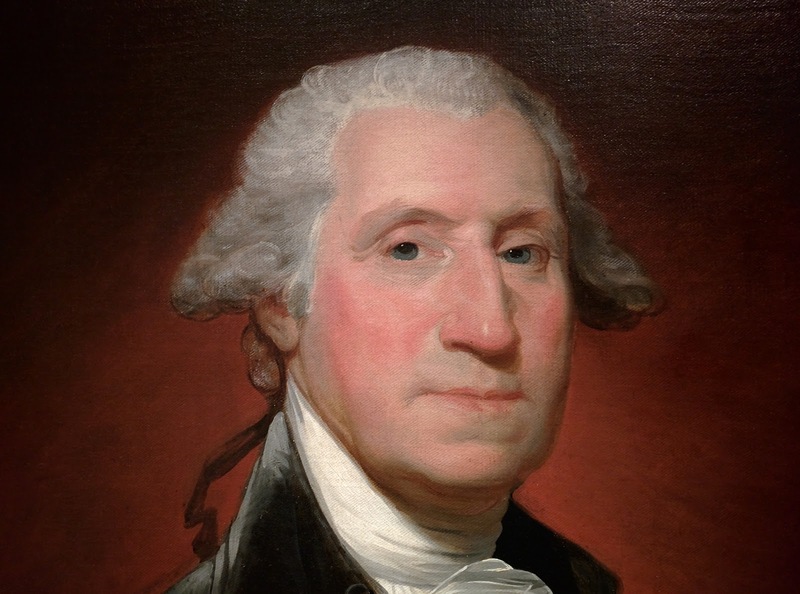 Our focus today was viewing and discussing a variety of George Washington portraits in the gallery. Our guide was Briana Zavadil White, Student and Teacher Programs at the Smithsonian National Portrait Gallery. She did a great job of both teaching us about the portraits of Washington but also giving us some tools that we can use with our students when teaching about art, specifically portraits. We started by looking at some of the more contemporary portraits in the gallery, including LL Cool J and Bill Gates. This portion of the gallery was our first stop to discuss some of the elements included in analyzing portraits. 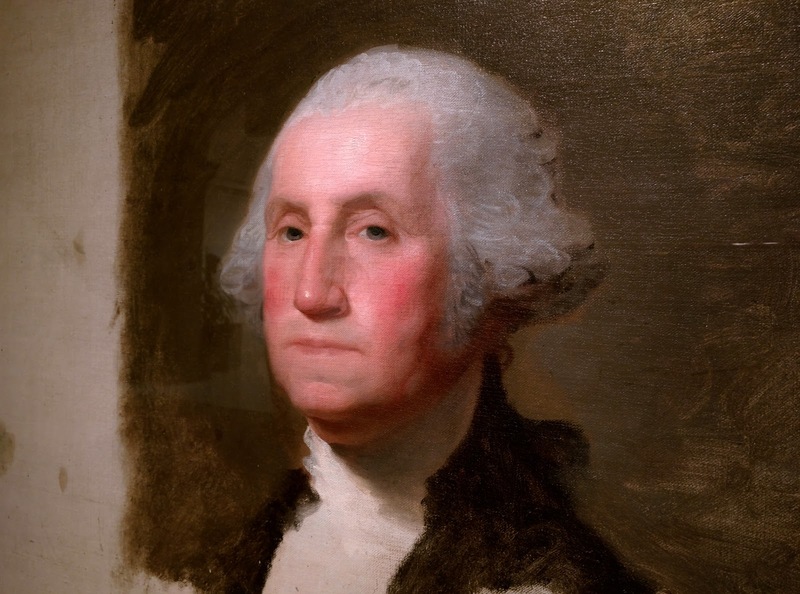 Next we moved on to the presidential gallery and an examination of some Washington portraits. We stopped first at the famous Lansdowne Portrait of Washington, painted by Gilbert Stuart in 1796. When we reached the portrait we were all given 30 seconds to soak in the paining and then we were asked to turn our back to the portrait and our guide asked us a variety of questions about what we remembered about the picture. It was interesting to both see what each person found memorable and what details we missed. It provided everyone an opportunity to explain different things in the painting and was definitely a technique I would use in my classroom when teaching art. The painting is much larger than I had imaged it to be. 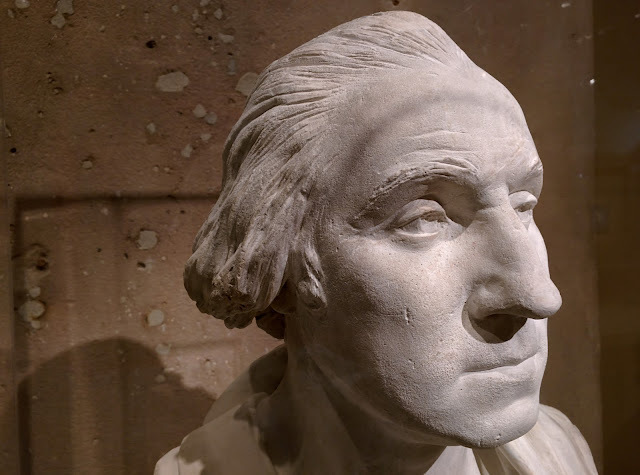 We also looked at a several other Washington portraits in the gallery including The Anthenaeum, an unfinished work by Gilbert which was said to be a very accurate portrait of Washington and the one you find on your $1 bill. 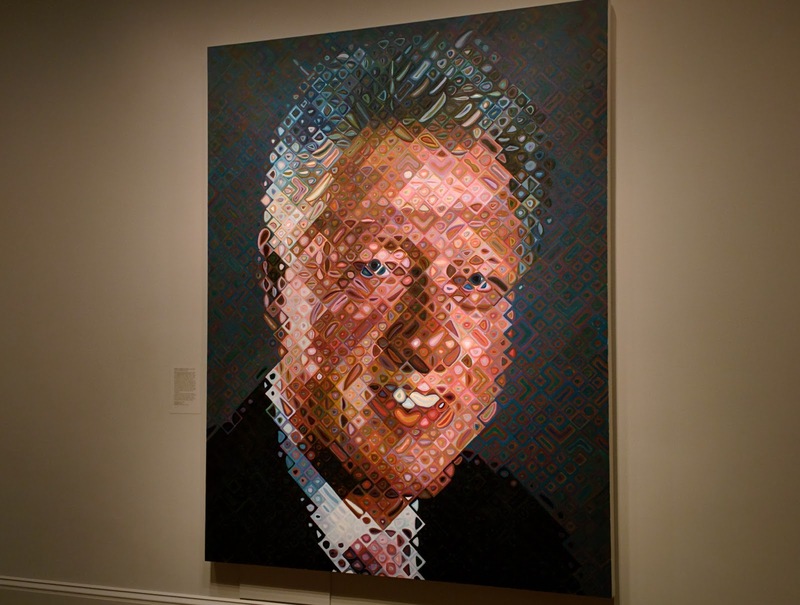 The rest of the presidential portraits in the gallery were fascinating. 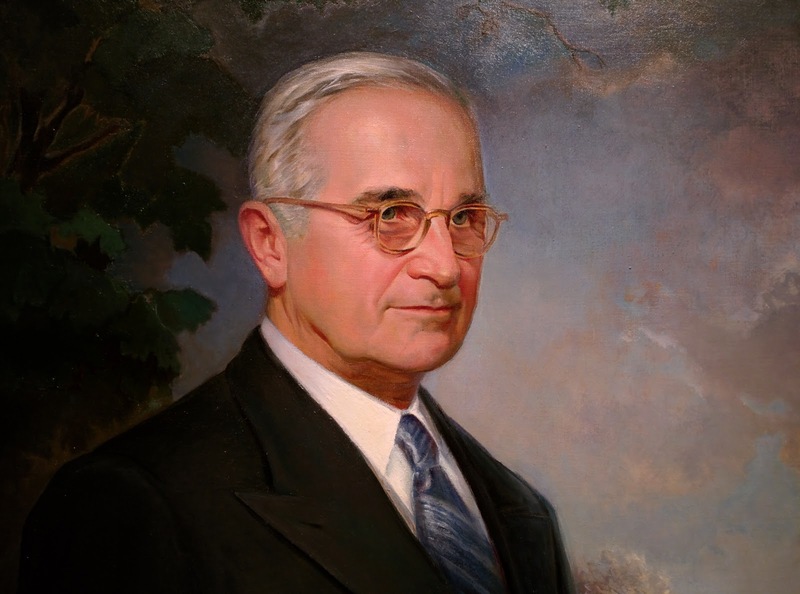 I especially liked Harry S. Truman and found the more contemporary portrait of Bill Clinton to be interesting. The museum does not currently have a portrait of President Obama. He will be contacted in the future to commission a portrait for the gallery. When I returned to Mount Vernon in the afternoon I had a meeting with Matt Briney, Vice President of New Media at Mount Vernon, and Robert Shenk, Senior Vice President for Visitor Engagement at Mount Vernon. 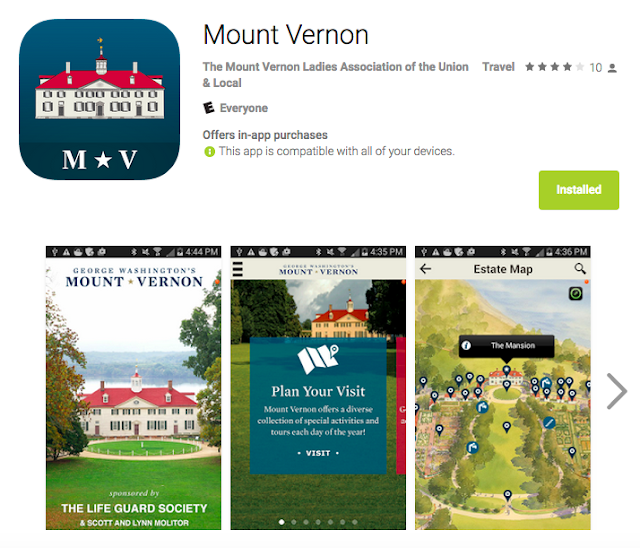 As a geek I am interested in the way in which Mount Vernon is using newly developed apps, online video and social media to connect with visitors here on the grounds and people like me - teachers who want to bring the Mount Vernon experience into our classrooms located around the country. I found it very interesting and I think they also enjoyed hearing the perspective a teacher who uses their content in the classroom. Mount Vernon has a great visitor app and recently launched a new spy app named "Agent 711" in which visitors are able to interact with locations on the grounds while tracking down a spy mission. 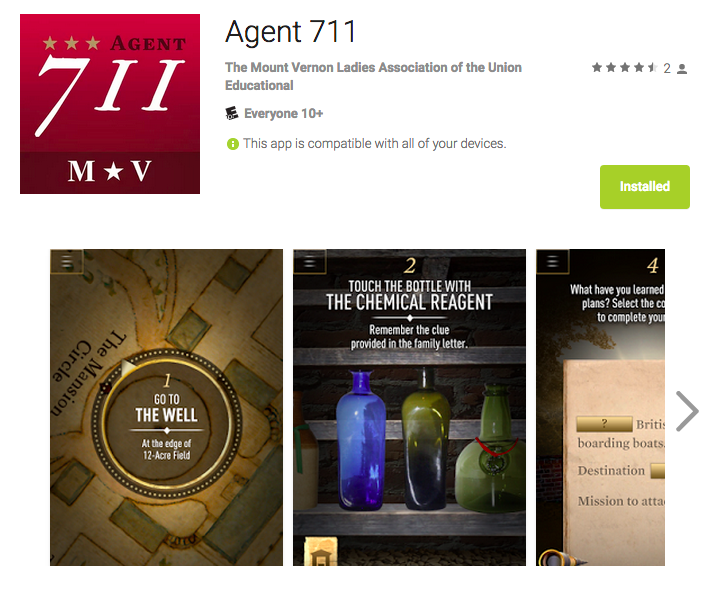 I think in the future Mount Vernon will have some interesting opportunities for teachers via the Internet. It was another Tomorrow I will be zeroing in on creating the content for my middle school archaeology unit.